The Telecom Commission’s decision to approve the Telecom Regulatory Authority of India’s net neutrality recommendations is a decisive act of confidence in Indian innovation. It recognises that India’s digital potential lies in the courage and creativity of our rising internet startups. It gives them more targets, and clears their lines of sight. That confidence is justified. Indian startups are generating entire industry sectors. Take, for example, India’s fintech sector: its transaction value crossing USD 52 billion this year, to reach USD 101 billion by 2022, by Statista estimates. 64% of India’s fintech organisations are aged three years or younger, according to recent YES Bank studies. 60% of Indian fintech entrepreneurs are under 40. They serve the world’s second highest adoption rate, at 52%. And Indian startups are already exploring emerging technology sectors – building blockchain solutions to streamline supply chains and run energy exchanges. What does the Commission’s decision mean for India’s internet and mobile startups? Mobile startups won’t find their apps lagging – and irritated users leaving – because they can’t afford big-company access premiums. Internet startups can focus on user activity and sales funnels, undistracted by bandwidth pricing uncertainties. Net neutrality rewards competent innovators who earn customers with better products; not uncompetitive incumbents who buy choice-less users from walled gardens through cash-burning internet fast lanes. Customers can choose startups by the value they perceive, not carrier patronage. All this means one less stomach cramp from the month-end cashflow spreadsheet. It also lowers market entry barriers to a better class of startup – decisively boosting Indian innovation. India’s digital opportunity rests on problem-solving: the value generated by digital solutions to Indians’ thousand developing-nation pain-points, from distant bank branches to overstretched schoolteachers. Rising connectivity (500 million internet mobile connections last month, by Internet and Mobile Association of India projections; 11 GB of 4G broadband consumption per user every month on average, per Nokia assessments) is transforming these pain-points into a digital market. The net neutrality decision gives more – and more competitive – startups competitively-priced, de-risked access to that digital market. It frees innovators to fan out across India’s problem space, and citizens to discover their solutions. By letting competitive experimentation (not paid access) determine success, net neutrality encourages creative and diverse problem-solving – precisely what India’s complex challenges need. This secures lasting digital opportunity and growth; and, perhaps, the Government’s search for a trillion-dollar digital economy by 2025. The net neutrality decision goes further, to help de-risk the innovation ecosystem serving that opportunity. Emerging technologies are defined by uncertainty: few know what market, technology, or regulatory issues they will entail, which exposes innovators to risk. How much bandwidth would, say, a future IoT-enabled car really need to switch on residential air-conditioning as it reaches home? Will the sheer volume of IoT data (from 20.4 billion IoT devices by 2020, per Gartner projections) clog bandwidth? Might this deactivate future net neutrality protections – spiking prices for low-latency IoT access, and scrambling startup cashflows? Could Indian internet service providers (ISPs) choose to limit blockchain transaction speeds, on grounds of bandwidth demand from a growing sector? Would this narrow the use-cases – hence business opportunities – Indian blockchain startups could engage? Are such scenarios even likely? Ordinarily, startups would not know – and consequently be forced to await unpredictable, unknowable business shocks, which disincentivises innovation. 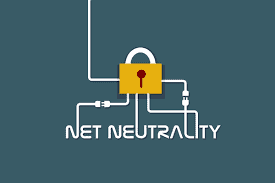 But Commission and Authority net neutrality provisions help resolve this uncertainty through pragmatic design, awaiting pre-specified evidence to activate limited exceptions. In the IoT example: only specific IoT services would lose net neutrality protection; only if the Department of Telecommunications finds they satisfy specialised service definitions – their optimisation necessary to meet particular quality of service requirements. This contains future uncertainty within clear regulatory boundaries, limiting business risks for aspiring Indian IoT startups. More broadly, the provisions establish the neutral Internet as the norm: subjecting exceptions to narrower definition, triggers, and targets (for example, under specialised services clauses), or to the moderation of Authority specification processes (for example, under traffic management practices). The Commission and Authority therefore help derisk startup innovation across sectors, by clarifying the regulatory tripwires that would activate extraordinary ISP action. For blockchain startups, this could help clear the path to a global opportunity Gartner assesses at USD 176 billion in value added by 2025. The decision’s true impact, however, runs deeper. Tim Wu, originator of the term ‘net neutrality’, notes in his magisterial The Master Switch (2010) that information industries traffic in individual expression – with ‘effects and purposes that transcend mere transactional utility’, and therefore deserve the protections of net neutrality. That expression includes ideas: startups’ stock in trade. Just as code is law in cyberspace, as Lawrence Lessig says – applications are ideas. In protecting free access for Indian internet applications, the Commission and Authority protect the freedom of Indian innovators to imagine the ideas those applications incarnate. That imagination will be needed, if we are to discover a billion citizens’ paths to prosperity. In summoning the vision to recognise that freedom, and the courage to protect it, the Commission and Authority have helped secure the future for both innovator and citizen. Rahul Nayar is Director Emerging Technologies at the IAMAI Startup Foundation. Net Neutrality Will Boost Indian Innovation 0 out of 5 based on 0 ratings. 0 user reviews.